These blogging tools are the one that I used to help push Six Dollar Family to a earn over $100,000 in 2016. That was the first year that we broke six figures and our income has only stayed steady since. It is because of the things that I took the time to learn and the tools that I used that I was able to break that six figure mark. 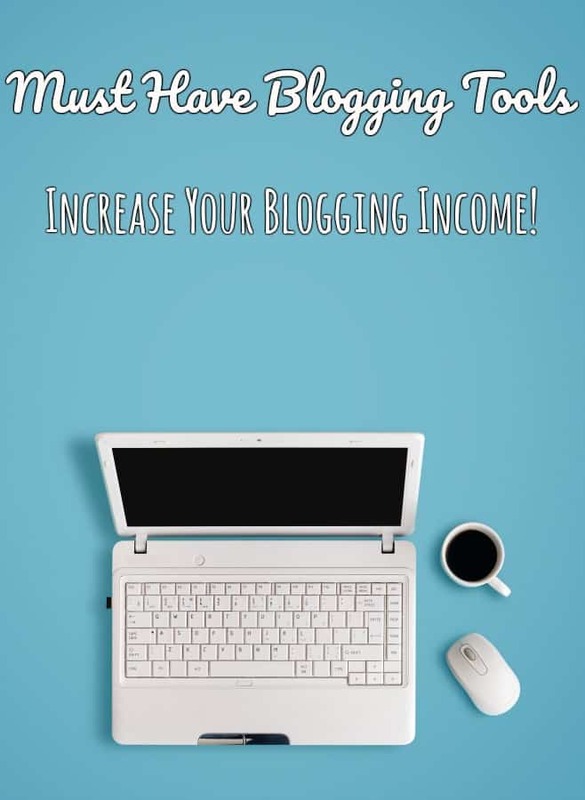 Now, I’m hoping that this list of must have blogging tools will help you to make money too! If you want to be a blogger, but haven’t created your blog yet, what are you waiting for? It’s so easy to do! Head over HERE to my tutorial How to Create a WordPress Blog. Your new blog can be up and running in less than 15 minutes! Bonus: Want to learn how to kickstart your new blog’s traffic and learn how to make money blogging? Be sure to sign up for my FREE Journey to Blogging email course if you haven’t already! You’ll learn everything you need to start a blog with a bang in just 7 days! Whether you’re just learning how to start a blog or you’ve been blogging for awhile, you want to make certain that you have the best hosting for WordPress that you can have without spending a ton. In my mind, the best inexpensive web hosting that you can buy would be Bluehost web hosting. You can get started in about 15 minutes with their easy WordPress set up and pay just $2.95/mo (upfront) to start. Plus, Bluehost gives you a free domain name for 1-year when you sign up for hosting with Bluehost. 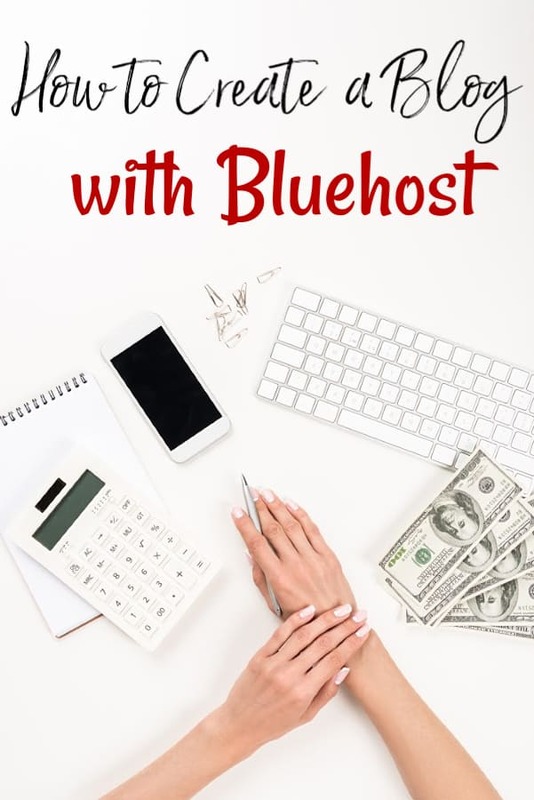 Want to learn more about Bluehost? Be sure to checkout my review of Bluehost web hosting. While you can get free themes for WordPress, it really isn’t a great idea. There are a few reasons why, but the biggest one being that on a free theme, designers often leave backdoors in the theme open. These backdoors allow them to get into the theme anytime they please which puts your blog at risk for being hacked. Instead, I recommend that you buy a copy of the Genesis Framework and that you buy a Genesis Child Theme by Studiopress. These paid themes are much more secure. Studiopress does have a couple of free Genesis child themes available that you can download. These free WordPress themes are different than those that work without a framework. They’re far more secure. Making money with a blog can be hard if you don’t keep the links in your posts updated. We’ve all had links go dead, but if it happens often enough, your earnings will shut down. When you buy Pretty Links Pro, you give yourself the ability to easily swap out bad links for good links. The Pretty Links Pro plug in displays links with your URL. When you need to change a link out, simply edit the Pretty Link and it automatically swaps everywhere you have linked to that Pretty Link. There is a free version of Pretty Links, however, I recommend that you buy Pretty Links Pro. It has more options such as the ability to rotate links within a single Pretty Link that you will want to have. Want to reach out to your readers directly onto their computer without being invasive? Sign up for One Signal and send them a browser notification when you post a new post? One signal is fairly easy to setup and best of all? It’s totally free! Search Engine Optimization is probably the most important thing you can do for your blog and to help with that, I recommend that you buy the pro version of Yoast SEO. With the pro version, you have the option of targeting multiple keywords per post which can be extremely helpful if you’re trying to rank in Google for more than one variation of a keyword. Images are extremely heavy on your server, but you can lighten the load a bit by optimizing them. ShortPixel is what I use and love to optimize images. When you sign up for ShortPixel, you’ll get 100 free images a month plus an extra 100 free for using THIS link. If you need to optimize more images than that, you can purchase additional credits for a really decent price. Blogging tools are the bread and butter of a blogger’s work since they help to push content out to new places and help you keep your life sane. The list below are some of the best blogging tools for bloggers that we have come across over the years. They will help you to schedule your posts, schedule your editorial calendar and yes; they’ll help you to make money with a blog! Making money with your blog isn’t possible without a little help and in this case, that means an affiliate network! These affiliate networks are some of the best affiliate networks for bloggers that I know of. They’re all reliable, pay on time and are great for helping a blogger make money blogging. Just be sure to check payment terms on each since each of these affiliate networks for bloggers will have their own payment methods and payment dates/times. Another way to make money blogging is by creating sponsored content for companies that request it. Since this is such a touchy field, you’ll want to make sure that you’re only use the best sponsored post companies for bloggers that are out there. These are companies that only want you to follow FTC rules and companies that will pay you on time, every time. The sponsored post companies for bloggers below are my favorites! Again, when checking out these best sponsored post companies for bloggers, you’ll want to make sure to check payment methods and payment terms since each pays differently. This list is far from inclusive and only includes my favorites. The last major way that bloggers make money blogging is with ad networks for bloggers and this is the area that I will caution you to be the most careful. Not all ad networks are created equal when you’re looking for the best ad networks for bloggers. Quite a few have no issues running spammy ads through their servers which only leads to issues for the blogger. The six best ad networks below are the ones that I trust and have used. The only one I have not used personally (or do not currently use) is MediaVine, however, they are an established ad network for bloggers with a safe, reliable and reputable reputation.